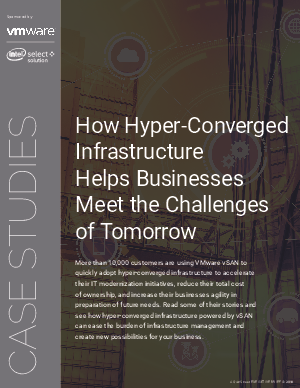 Hyperconverged infrastructure (HCI) is giving organizations the agility to respond quickly to demand for new products, services and applications. Many organisations begin their HCI journey by targeting specific use cases such as virtual desktop infrastructure, disaster recovery and remote office-branch office environments. But HCI continues to evolve far beyond these use cases. In this case study, we look at real world deployments to identify how HCI is helping businesses to reduce TCO, improve scalability and rapidly adopt new technologies. Please enter your details to view the case study.